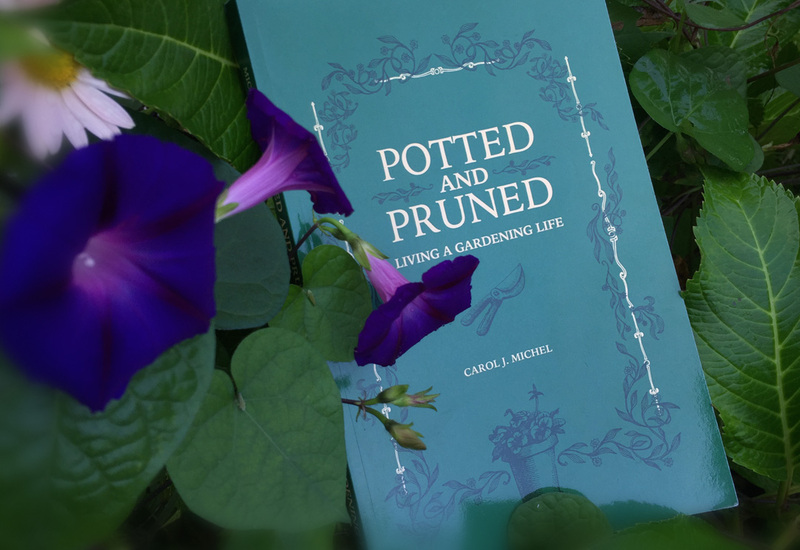 “Potted and Pruned” contains delightful anecdotes that will have gardeners chuckling along as they self-identify with portions of the book. Some chapters resemble fairy tales for adults, where the gardener learns a moral gardening lesson, such as not using pesticides. Other chapters prompt introspection, such as the Common Maladies gardeners face: Plant Lust, Zone Envy and Sunny, just to highlight a few. A total of 36 essays share gardening characteristics that most gardeners can relate to, often in humorous ways (such as shopping in a garden center and a gardener’s perception of distance). As a seasoned gardener, Michel willingly shares her musings, observations and advice on how to encourage (rather than discourage) newbie gardeners to join the fold. An extra bonus: In the imagery above each chapter is an embedded word. When read sequentially, Michel’s secret to finding happiness in the garden is revealed. 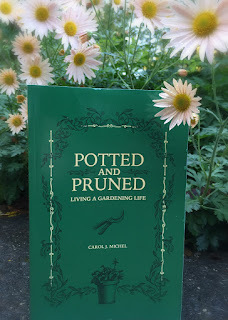 Enjoyable and concise, Michel has assembled the defining characteristics of gardeners, and why they are such a lovable bunch. * I was provided with a review copy of this book.